Caribbean travelers can find duty-free shops at virtually any airport, but certain island destinations and ports are famous for their concentration of duty-free shopping, where visitors can find jewelry, watches, perfume, liquor, and other goods at a deep discount -- 25 to 40 percent in many cases. Travelers from the U.S., Canada, the U.K., Europe, and elsewhere may bring a limited quantity of goods home tax-free when traveling to the Caribbean. Note: Duty-free shops typically require you to present your passport and/or plane ticket in order to make a purchase. St. Thomas' capital city of Charlotte Amalie is home to literally hundreds of duty-free shops, making it the top duty-free shopping destination in the Caribbean. Main Street, Back Street, and Waterfront Street -- and the alleys in between -- are homes to shops selling discounted jewelry, alcohol, cameras, clothing, and much more. U.S. visitors enjoy a special exemption here and are allowed to bring home up to $1,600 worth of goods duty-free. Havensight, near the cruise terminal, is another popular location for duty-free shopping. Philipsburg offers great deals on jewelry, high fashion, tax-free tobacco products, leather goods, and local liquor, including a great selection of flavored rums. Native prints and crafts also are sold. The mile-long Front Street in Philipsburg is lined with more than two dozen duty-free shops as well as name-brand boutiques like Tiffany and Tommy Hilfiger. The Sint Rose Shopping Mall on the boardwalk by Front Street features Cartier, Lalique, and Faconnable, and you'll find even more stores down the side streets of this charming, compact beach town and port. Old Street has art galleries and gift shops, while Back Street is home to an open market. In French St. Martin, Le West Indies in Marigot has three floors of duty-free shops. Broad Street in Bridgetown, Barbados has the island's greatest concentration of duty-free shops like Harrison's and also is home to Cave Shepherd -- the island's largest department store. Madison's Duty-Free Inc. is located at West Coast Mall in Sunset Crest and carries everything from linen outfits to cocktail dresses and evening gowns, shoes, handbags, hats, jewelry, and other accessories from American and European designers. For exquisite handcrafted jewelry and precious gifts designed by master goldsmiths from the Caribbean and abroad, visit Heather Harrington Jones in Holetown, St. James, which features a wide selection of top quality gold, platinum, and sterling silver products. Luxury goods -- liquor, china, crystal, collectibles, fragrances, watches, photographic equipment, and leather goods -- are duty-free in the Bahamas. Bay Street in Nassau has the most duty-free shops, although you'll also find some tax-free shopping at the Port Lucaya Marketplace on Grand Bahama Islands. No taxes are charged on the handicrafts sold at Nassau's famous Straw Market (or its smaller counterpart at Port Lucaya), and the savvy shopper can haggle for a better price, to boot. The Heritage Quay Shopping Center in St. John's is your best destination for duty-free shopping in Antigua. Picturesque Redcliffe Quay, once the center of commerce along the city's waterfront, is another popular shopping option. Grand Cayman is known as one of the world's premier tax havens, so no surprise that the capital city of George Town also is a major destination for duty-free shopping. Watches, crystal, china, perfume, jewelry, and rare coins are among the goods you find for sale here, as well as in a few stores on Cayman Brac. Some of the George Town duty-free shops are located within walking distances of the island's cruise terminal. Kirk Freeport is a popular local duty-free purveyor. Oh, and don't forget to bring home a famous Tortuga Rum Cake from the Grand Cayman factory store/distillery! Curacao's 57-acre Harbor Duty-Free Zone is the largest in the Caribbean and attracts visitors as well as retailers and other bulk purchasers who come to the fenced-in facility to find bargains. The only catch is that you have to ship anything you buy directly home or delivered directly to your cruise ship or flight. A smaller duty-free zone is located at the airport. Curacao's other, more tourist-friendly jewelry and retail shops aren't duty-free, but the combination of low duty charges and no sales tax still make for some decent deals. Grenada's duty-free shops, located primarily on the Carenage in St. George's and at the airport, offer the usual selection of liquor, jewelry, and other luxury goods, but you can also find locally made batik fabrics and the spices that made the island famous. The capital of Kingston and Jamaica's major resort towns, including Montego Bay and Negril, all have duty-free shops selling rum, jewelry, cigars and more. 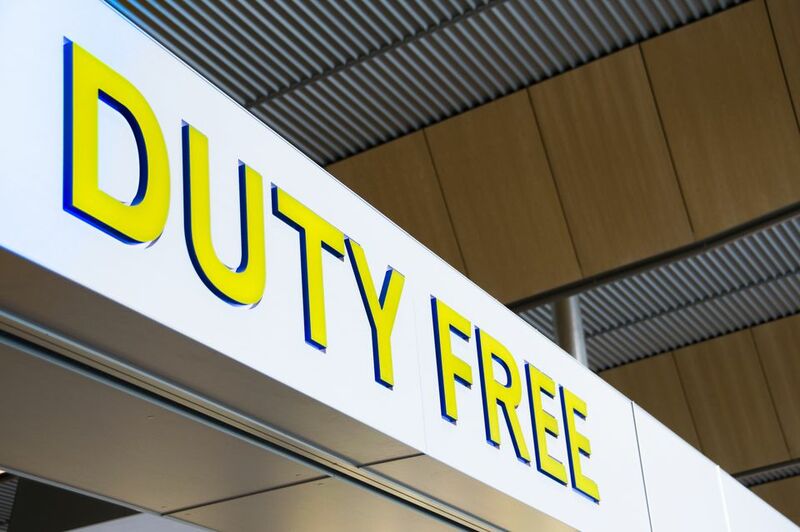 Items purchased at Jamaica's duty-free shops must be paid for in foreign currency or credit card. You'll find duty-free shops at most of St. Lucia's major shopping centers, including the Marina Village in Marigot Bay, J.Q. Charles Shopping Mall (near Rodney Bay), La Place Carenage Shopping Centre in Castries, and the Pointe Seraphine Shopping Complex near the cruise port.